Located in the heart of the Wheatbelt, the vibrant Kulin Region offers a fantastic array of visitor experiences and is a convenient stopover for those travelling to Wave Rock or between Perth and Esperance. Jilakin Rock, 15 kilometres east of town, is a spectacular grey monolith overlooking a lake. 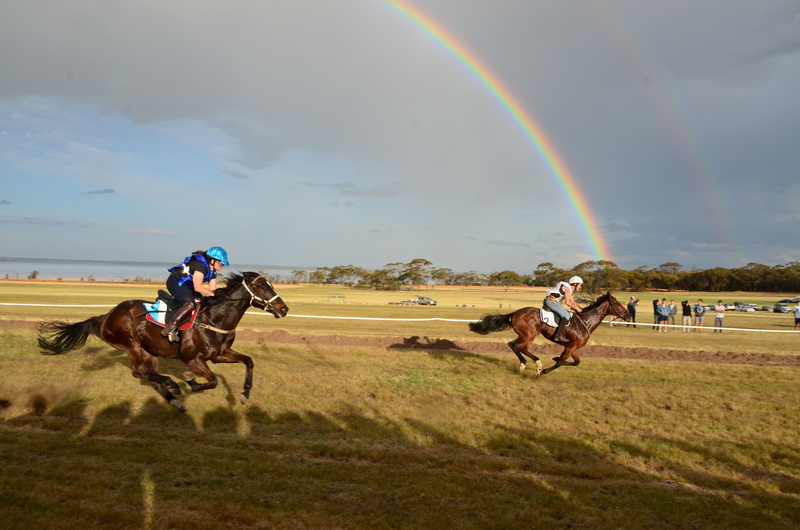 It is here that the popular Kulin Bush Races are held every October, attracting visitors from all over the State. 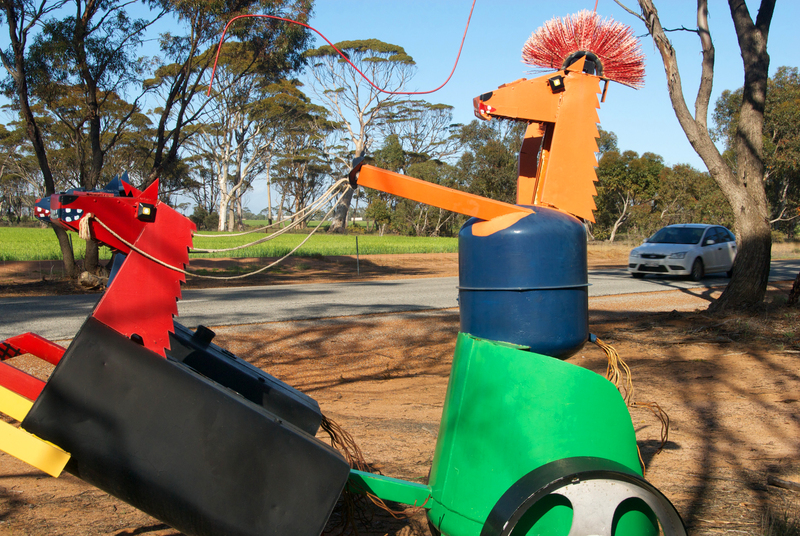 Another equine attraction is the “Tin Horse Highway” these creative tin horses provide a great source of ammusement to travellers passing through town. Further east are the unusual formations called Buckley’s Breakaway. These pinkish white sculptured rocks make a stark contrast against the red brown gravel caps. Dragon Rocks Nature Reserve is another great attraction in the area. 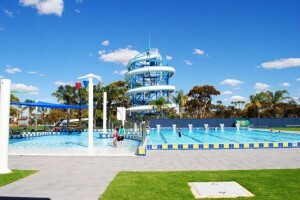 Experience Kulin’s brand new Discovery Zone. The unique outdoor area has transformed the town’s main street and is the perfect place to relax, stop and stay. 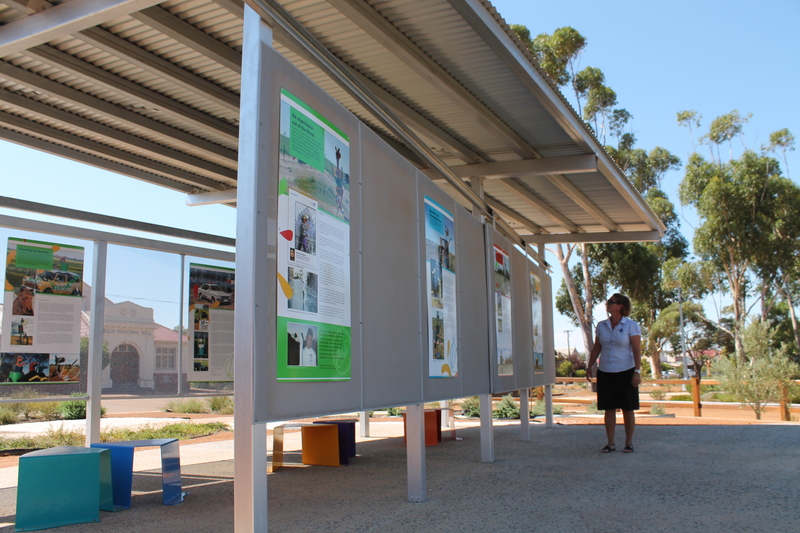 The Zone showcases Kulin in a unique and informal way, giving visitors a sense of the region’s history and identity. 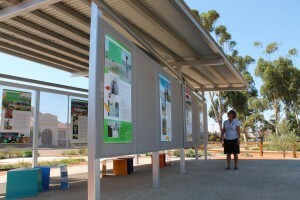 It contains information points, interpretive signage and artworks which tell of Kulin’s past, present and future. The beautifully landscaped Zone also includes a War Memorial, RV Friendly 48 Hour Parking Area, Dump Point, Public Toilets and Showers, Picnic Shelters and BBQ, Playground and Skate Park. The Discovery Zone was officially opened in February 2015.
delicious country style food. It is a family orientated event, with activities and entertainment for all ages.They are located at Jilakin Rock, 15km east of the townsite overlooking the picturesque Jilakin Lake. The Kulin Gallery and Studio is managed by artist in residence and local Carol Griffin. 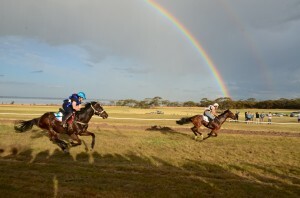 Many of Carol’s pieces are inspired by local rural values including heritage buildings, horses and the famous Bush Races. Come in for a browse or purchase one of Carol’s beautiful artworks. Carol also invites and encourages people to come in and try their hand at painting with free art supplies and assistance. All day food and coffee available. Meals available in the dining room or restaurant. Unleaded petrol and diesel available. Visitor Information and souvenirs.